When I was little, I was fascinated with my Nana’s nails. I would go with her to watch the manicure process which took forever back in the dark ages. Between visits, Nana would allow me to treat her cuticles, clean then, and polish my own nails. 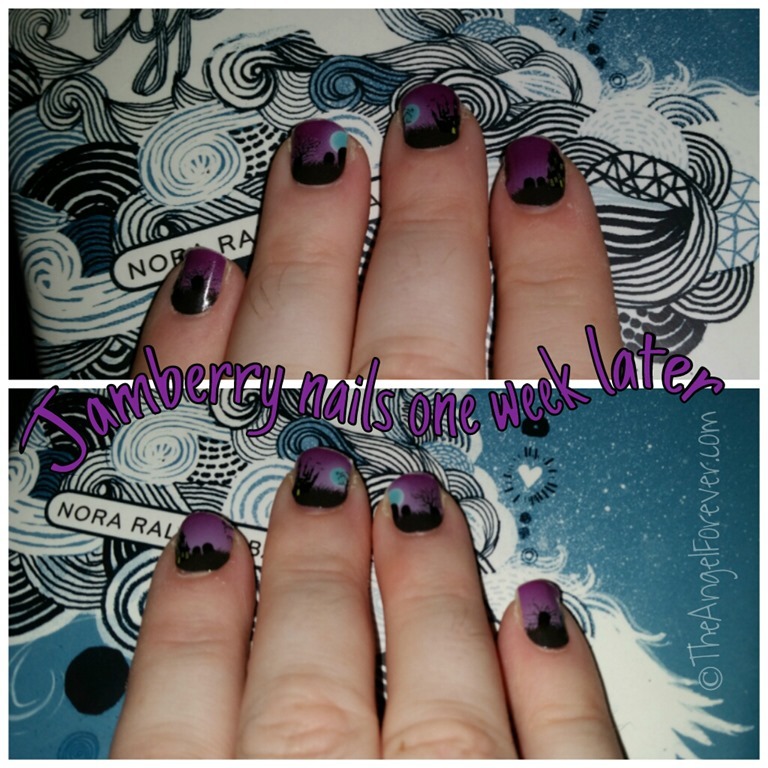 I have always loved the look of shiny nail polish, but it never stays put. It isn’t just an issue of chipping, it will actually pop right off. I finally gave up and just do my toes for the summer months. 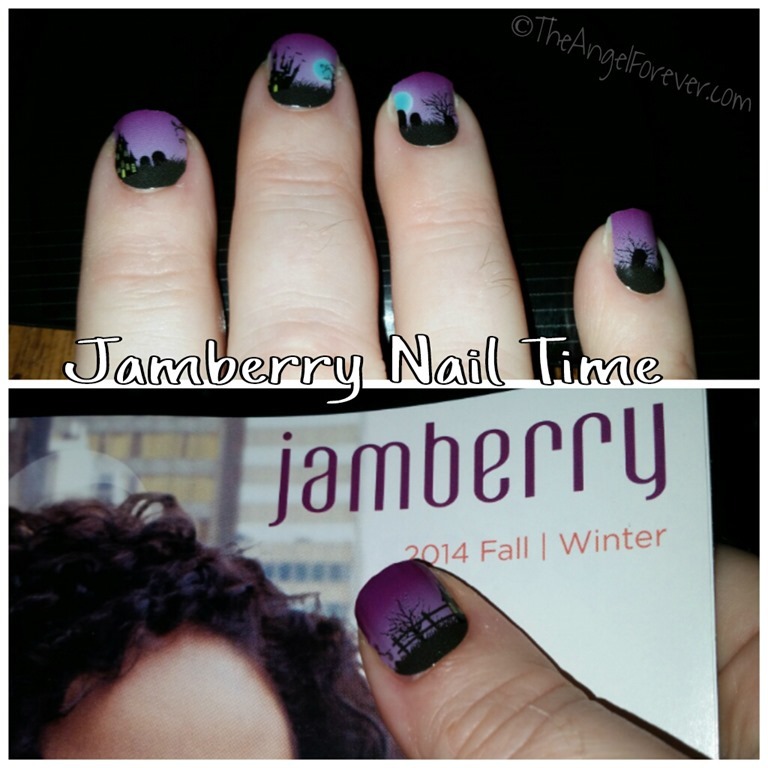 In September, a friend invited me to a virtual Jamberry Nails party. I was intrigued and watched the videos of applying them. Since I have had problems with polish staying on my nails, I opted to try just one sheet first. 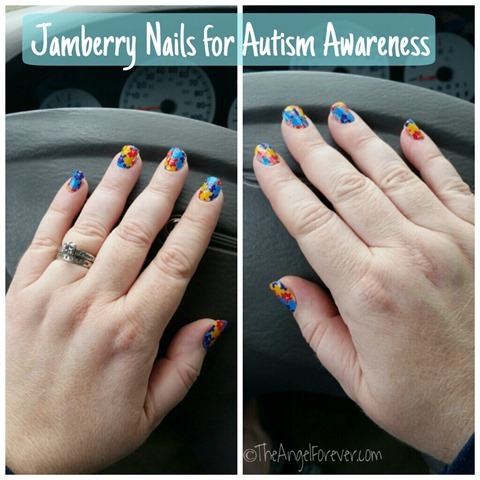 Yes, the autism awareness nail photo above is of Jamberry nail wraps. While I was nervous applying them, the YouTube video and instructions really helped. I had a few items that I realized I needed to do for my next application, but was pretty impressed with how they looked. Not only did they last, they stayed on my fingers for 13 days and still looked amazing. Sure my nails grew out and the tips showed wear and tear, but they were still there. On day 13, one of them snagged in my hair. I was home alone and stuck, so I pulled and it came off. Since they say they last 1-2 weeks for a manicure, I was not upset at all. 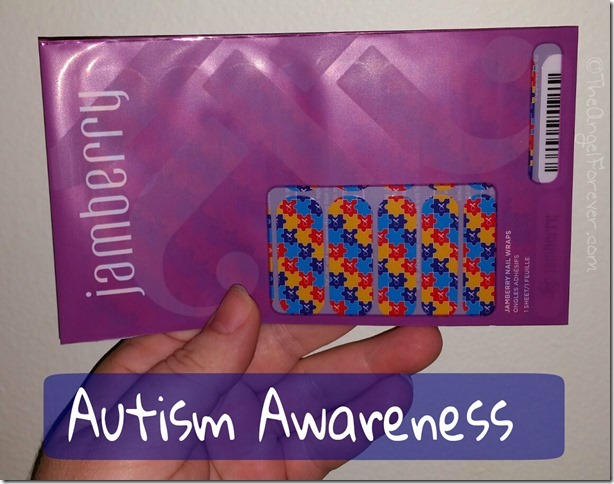 For Halloween season, the boys helped me to pick out some fun new Jamberry. Fright Night arrived and I put them on last Tuesday. What I love are the small details. Each finger is slightly different. Once again, my Jamberry manicure is going strong at eleven days and I am hooked. 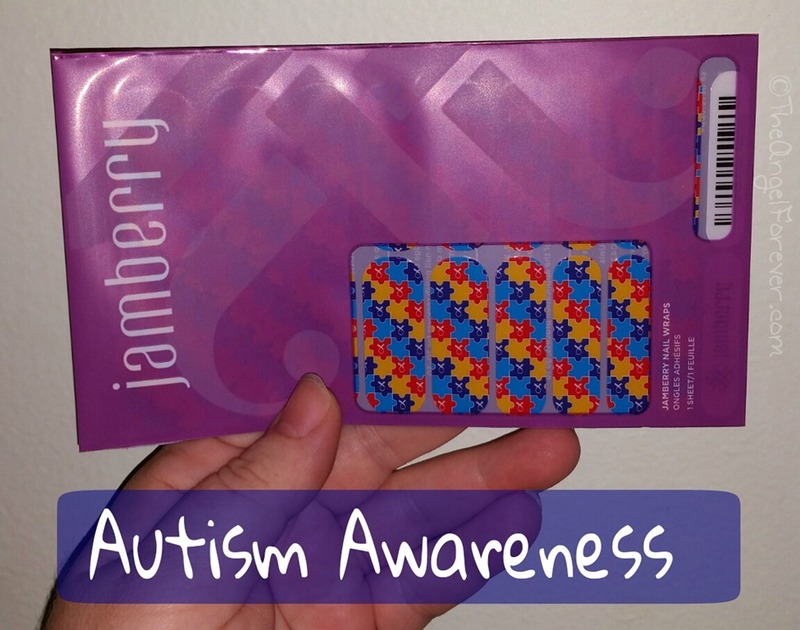 I am eyeing Jamberry wraps for Thanksgiving, Chanukah, and winter fun. In a house full of boys, pampering my own nails every so often makes me smile and my nails are happy and healthy before, during, and after. Have you tried Jamberry yet? 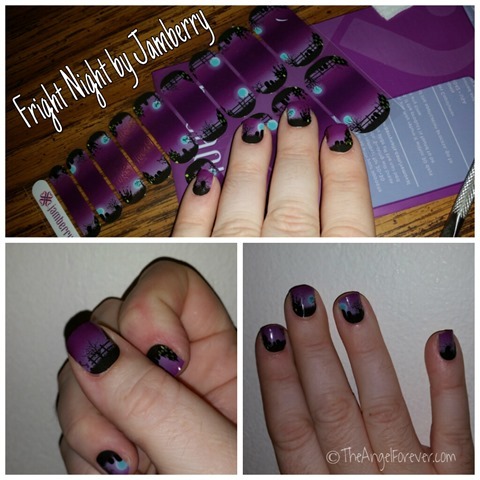 Right now I am hosting an online Jamberry party (disclosure, I get fun stuff when people order). It is taking place until November 12 and there will be additional fun on the Facebook page. Let me know if you would like an invite. 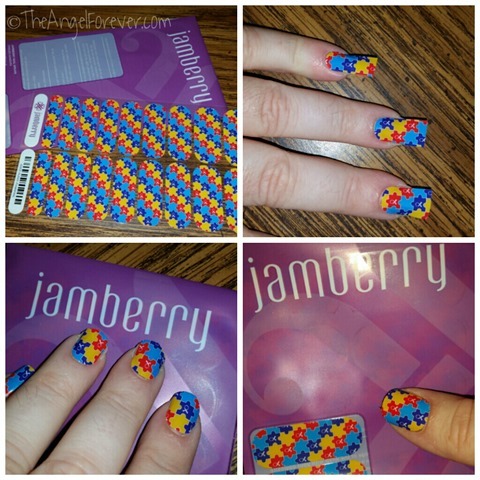 Oh and for super creative types, you can design Jamberry’s as well. I have seen some amazing fun Disney style options and other ones as well. So check out the options and let me know what your favorite design is. I have to admit, the Gobble Me Up for Thanksgiving are super fun and cute, plus the Let It Snow make me think of Elsa from Frozen.